Is ‘Time’s Up’ the Next Step for the #MeToo Movement? For the most part, powerful women. For the most part, wealthy women. For the most part, white women. #MeToo, for all the progress it has made in exposing sexual harassment and abuse—and in exposing the contours of systemic sexism more broadly—has been, from the outset, largely limited in its scope: A movement started, in this iteration, by the famous and the familiar, a movement unsure of how to convert itself from stories into action. The question quickly became: How do you broaden it? How do you move the #MeToo movement beyond the provinces of privilege to be more inclusive, more systematized, more politically effective? How can #MeToo, essentially, move from the realm of the “me” to the realm of, more fully and more meaningfully, the “we”? The formation of Time’s Up was announced via a full-page advertisement in the Times and via an ad in La Opinion, a Spanish-language newspaper. The ads were accompanied by a detailed news report in the Times, and also by a social-media campaign—#TimesUp—that included participation from many of Hollywood’s most powerful voices, among them Rhimes, Eva Longoria, Rosario Dawson, Jennifer Lawrence, America Ferrera, Emma Stone, Uzo Aduba, Reese Witherspoon, Jill Soloway, Kerry Washington, Tina Tchen, Rashida Jones, Ashley Judd, Natalie Portman, Ava DuVernay, and many, many more. The simple shift in hashtag, #MeToo to #TimesUp, is telling: While the former has, thus far, largely emphasized the personal and the anecdotal, #TimesUp—objective in subject, inclusive of verb, suggestive of action—embraces the political. It attempts to expand the fight against sexual harassment, and the workplace inequality that has allowed it to flourish for so long, beyond the realm of the individual story, the individual reality. (Reese Witherspoon: “We have been siloed off from each other. We’re finally hearing each other, and seeing each other, and now locking arms in solidarity with each other, and in solidarity for every woman who doesn’t feel seen, to be finally heard.”) One of the prevailing ethics of #MeToo has been the opt-in nature of the movement: To share one’s own story, with all the costs that accompany it, that ethic has acknowledged, is both an act of bravery and an act of privilege. While many have spoken up and spoken out, and should be commended for it, many more have not: The risks of doing so are too severe. Don’t be part of the problem. For starters, don’t harass anyone. If a person who has been harassed tells you about it, believe them. Don’t underestimate how hard it is to talk about these things. If you know someone who has been harassed, connect them to resources who can help, such as the ones found here. If you are a witness or bystander and see a harassing situation, you can help the person being harassed. You could actually intervene. You could confront the harasser. You could also help the person get out of the harassing situation. If you cannot do any of these things, you can still support the harassed person by corroborating and confirming the account of what happened. You can support those affected by sexual harassment by donating to the TIME’S UP Legal Defense Fund. If you are part of an organization, look at the workforce and the leadership (management, officers, board of directors). Does it reflect the market where you operate and the world we live in? If not, ask why not and do something to move it closer to that goal. Acknowledge that talent is equally distributed, but work and career opportunities are not. Mentor someone from an under-represented group in your industry. If you are in a position to do so, hire someone who can diversify the perspectives included in your organization; your team will be better and stronger for it. You can vote with your wallet: in your purchasing, in your investing and in your charitable giving. Spend or give to companies and organizations who have more equitable leadership and opportunities for all. One important detail of the attack: In addition to fracturing the child’s skull and hitting and kicking his wife, Kelley strangled her. If the particular severity of his violence had been better understood and recognized in New Mexico, 26 people, including a 17-month-old baby named Noah, might not have been killed in Sutherland Springs, Tex., this month. Bad conduct is going 80 in a 55 mph zone. Bad conduct is cutting down your neighbor’s azaleas or flirting with your colleague’s wife. Bad conduct is not engaging in an act so violent that it could take the life of another human being. Omar Mateen, the Orlando Pulse nightclub shooter, had also choked both his wives and was never charged, let alone prosecuted. He and Kelley should not have had access to guns, true enough, but more to the point, they should have been behind bars. Yet strangulation, as a signal of dangerousness, is not only overlooked by most law enforcement officers and prosecutors, it’s not always recognized by health-care workers. Symptoms can appear days or months afterward. Victims are regularly released from emergency rooms without undergoing CT scans or MRIs. Most strangulation injuries are not visible enough to photograph, and police often don’t know to look for other signs — including urination, slurred speech, redness around the eyes or scalp, a hoarse voice or trouble swallowing . As a result, injuries are played down in police reports and commonly noted as mere scratches or redness around the neck, according to a study by Strack of 300 nonfatal strangulation cases. Many victims have poor recall of events — often a result of loss of consciousness from the strangulation. In fact, a person can be strangled in less than 12 seconds and never stop breathing. It wasn’t that Kelley operated under the radar; it was that authorities failed to see and then act on the clues he was leaving. So, while we’re offering up theories as to Kelley’s motives — he was an atheist, he was a liberal, he was mentally ill, he was a loner, he was a weirdo — we can also consider this single fact: He was a strangler. He was a strangler whose violent act was described as “choking” in the report on his 2012 assault. Law enforcement officers may not have known about strangulation as a marker of dangerousness the night they were called to his home. Or they may not have known how to look for the signs of strangulation. Perhaps they had never been trained. Perhaps they dismissed the call as just another “domestic” in a long string of frustrating domestics. Whatever happened that night, because Kelley was not charged with nonfatal strangulation as a felony, he was not prosecuted accordingly. And because he was not prosecuted accordingly, he was not sentenced to the 10 years he could and should have gotten in prison, where he would remain today. And because he was not in prison, he was out in the world with the rest of us: a dangerous man, legally free and simmering. ND Supreme Court in collaboration with National Council of Juvenile and Family Court (NCJFCJ) are excited to bring Enhancing the System’s Response to Domestic Cases in North Dakota Training. Contact Lee Ann Barnhardt at lbarhardt@ndcourts.gov to register. Contact Teresa at teresa@cviconline.org to register. Deadline to register is November 1, 2016 – Limited space! Recommended audience: district judges, justices, referee/magistrates, law students, prosecutors, defense attorneys, law enforcement, advocates, socials services, child protective services, guardian ad litem, custody investigators, parenting coordinator or mediator, offender treatment program staff, probation, juvenile court personnel, supervised visitation staff. The First Nations Women’s Alliance is seeking to hire an Executive Director. The Executive Director is responsible for overseeing the ND domestic violence/sexual assault tribal coalition. This includes ongoing program development, including maintaining nonprofit organizational status; working with a board of directors; serving as primary representative of FNWA on tribal, statewide, and national levels; overseeing the budget and finances; personnel management; and policy development. Candidates must have a minimum five years of experience in management and program development in a tribal domestic violence agency and experience working with both tribal and non-tribal entities that are focused on domestic violence intervention and prevention. The position is full-time with a generous benefit package. The position is Exempt. The office location is in Devils Lake, ND.For more information, please call FNWA Board President Sadie Young Bird-Barusto 1-701-627-4171, current Director Linda Thompson 1-701-662-3380, or email questions: fnwa08@gmail.com. Click here to view job listing. CAWS North Dakota announced opposition toward the proposed Marsy’s Law amendment today. Alongside CAWS North Dakota, a group of victims’ advocates and County State’s Attorneys held a press conference in Bismarck to outline concerns with the proposed state constitutional amendment. 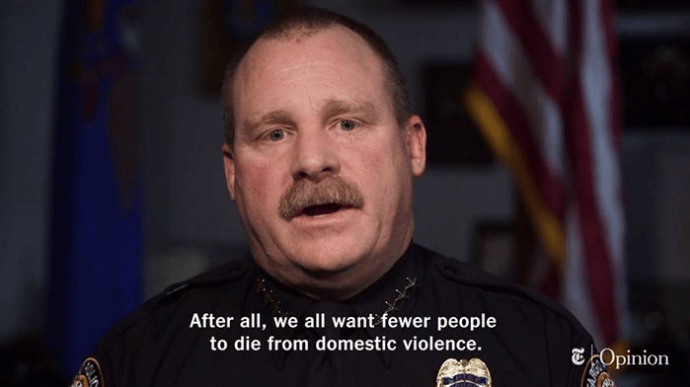 According to CAWS North Dakota’s Executive Director Janelle Moos, victims have multi-faceted needs and a “one size fits all” approach doesn’t work as outlined in Marsy’s Law. This pre-packaged constitutional amendment is not geared towards what’s best for victims in North Dakota. CAWS North Dakota stands with other partners committed to improving access to and promoting the rights of victims currently outlined in state law. Victim service providers and their partners are well positioned to work together to create policies, language and implementation strategies tailored to the needs of victims in our state. “We believe there will be unintended consequences about the unknown impact on an already overwhelmed system with additional requirements without additional resources. Constitutional measures, although well intentioned are often not clearly defined until litigation (case law), making it difficult to modify or implement. For example, such possible litigation over defining who is a victim may create disadvantages because it could limit or frustrate successful resolution to victims of crime,” said Moos. CAWS North Dakota has been advocating for the rights of victims by building institutional relationships and helping shape public policy since the late 1970’s. In 1987, under the leadership of CAWS North Dakota, the organization joined other states in passing 21 bills that created broad protections for all victims of crime often referred to as the victim’s “fair treatment standards”. (NDCC 12.1-34). Under this statute victims and witnesses are afforded 18 rights including the right to be notified of the status of the investigation and whether criminal charges have been filed, to be notified of pre-trial release, to be present and participate in court proceedings, to be informed of services available, to be protected from the release of any identifying information, and the right to submit a victim impact statement. North Dakota has a rich history of collaborative problem-solving through organizational, administrative and legislative processes that date back to 1979 when the first domestic violence statute was passed. This process has allowed time for discussion, negotiation and transparency in creating language and consensus to bring forward change that benefits victims.